We are in the process of preparing a block, originally 20 kg in mass, of fossil-iferous limestone from the last zone of the Clarkforkian land-mammal age (Cf-3, locality SC-327; see Bloch and Boyer, 2001 for locality information). 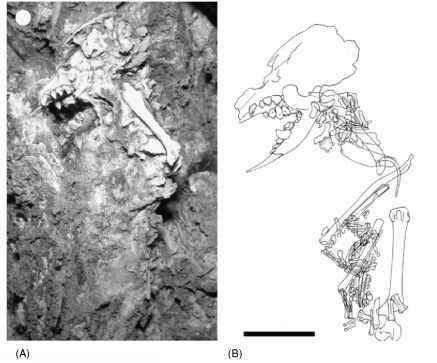 One amazing aspect of this rather large block is that all of the exposed skeletons, representing at least 11 individuals, are articulated (80-100% complete; see Bloch and Boyer, 2001, Figure 5). At least one of the individuals is a new genus and species of micromomyid plesidapiform (Figure 1A). Bone orientations and positions within the block were documented in detail during preparation of the specimen by frequently taking digital photographs of exposed bones and by making drawings that summarized the information in separate photographs with precision on the order of 1 mm or less. The micromomyid skeleton was isolated and not likely to be mixed up with any adjacent skeletons. Our main concern was documenting associations of phalanges to hands or feet, and between individual metacarpals, as persistent functional and phy-logenetic questions have gone unanswered simply because cheiridial elements could not be confirmed as belonging to either the hands or feet (Hamrick et al., 1999; Krause, 1991). After extraction, bones were stored with numbers that correspond to the spatial documentation. When dissolution was complete, the photographs and sketches were compiled to produce a map of how the bones were distributed in the limestone (Figures 1B, 2A). The result was recovery of the most complete and clearly dentally associated skeleton of a micromomyid plesiadapiform yet known. Figure 1. (A) Micromomyid plesiadapiform skull and skeleton (UM 41870) partially prepared from fossiliferous limestone, University of Michigan Locality SC-327, late Clarkforkian (Cf-3) North American Land Mammal Age. (B) Composite map of the bones recovered. Scale = 1 cm. closely associated with the proximal ends of intermediate phalanges 15 and 16, suggesting that they belong to the same hand. The positional relationships described above make interpretation of metacarpal position relatively certain, and allow for confident attribution of proximal and intermediate phalanges to the left hand. In the foot, metatarsals 72, 74-76 were almost perfectly articulated. The distal ends of metatarsals 74 and 75 were articulated with proximal phalanges 63 and 64. Metatarsal 72 is closely associated with the proximal end of 40. In turn, 40, 63, and 64 had their distal ends associated with the proximal ends of intermediate phalanges 80-83. Based on these associations, we are confident that all these bones belong to the same foot. None of the ungual phalanges recovered are attributed to the foot. It is possible that some, which were not closely associated with a particular manual or pedal intermediate phalanx, were wrongly attributed to the hand (i.e., 102, 41, 42, and 44). However, we are prohibited from attributing any to the feet by two factors: (1) no unguals were recovered posterior to the "knuckles" of the flexed toes, instead, all were clustered around the hand and wrist elements; and (2) there are no consistently diagnosable differences between any of the unguals (due at least partly to their small size and variable preservation quality) that could be used to partition them between hand and foot when clear associations were lacking. Articulations and associations allowed for identification and subsequent morphological differentiation of manual and pedal intermediate and proximal phalanges in this specimen (Figure 2B). Pedal proximal phalanges are longer and have better developed flexor sheath ridges than those of the hand. Pedal intermediate phalanges differ from those of the hand in: (1) being absolutely longer with medi-olaterally relatively narrower shafts, (2) having tubercles for the annular ligament of the flexor digitorum profundus and superficialis muscles with relatively more prominent ventral projections, and (3) having a distal trochlea that is dorsoven-trally relatively deeper, with a greater proximal extension of the dorsal margin. 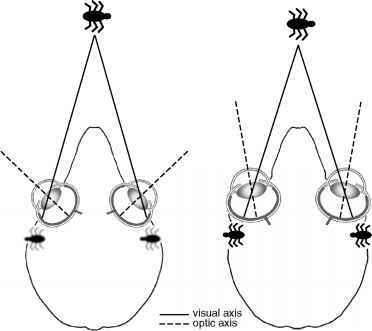 Such distinctions allowed attribution of other, more ambiguously positioned cheiridial elements to either hand or foot. These associations of manual and pedal phalanges allow functional interpretations that are more valid than those based on phalanges associated through assumptions about what morphological differences between hand and foot are expected to be (e.g., Beard, 1990, 1993).